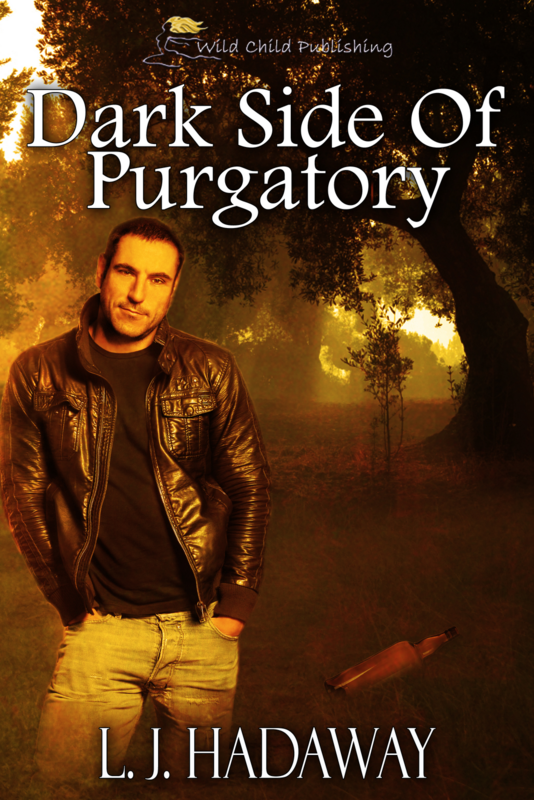 Long and Short Reviews is pleased to welcome Linda Hadaway, whose latest book, Dark Side of Purgatory, is available from Wild Child Publishing. Normally, in Linda's writings, the plot will come to her first; however, in this case it was Jaxon Slater—the epitome of every woman's "bad boy" she was attracted to in her youth. "Well, maybe not every woman," Linda clarified. "You know who you are." Jaxon awakes to find himself dead in Purgatory—a story of addiction, recovery, love, and hope. "If you read the book, you will find yourself cheering him on in his quest, laugh with – or at him - and maybe even have a heart wrenching sigh or tear," she said. With One Step Away of Danger, Linda was living in the woods in a small trailer when she got the idea. "I was simply lying on the ground staring at the clouds. It was a warm summer day and my thoughts wandered until a little seed was planted. I didn’t start to write the story until several years later, but it had started there. Sometimes plots develop themselves…I may have an idea and then as I start writing- it takes on a 'mind' of its own." Linda has lived in Skagit Valley, in Washington State, all her life apart from a couple of years. "It’s beautiful- now I live where elk herds can be seen and eagles fly over the Skagit River. People are friendly and help one another. I wouldn’t live anywhere else." She laughed and added, "But I do like to visit Vegas when I can." Linda has always made up stories—when she was in second or third grade she wrote a story about a bunny that her mother kept for a long time. She never really thought of herself as an author, however. Just someone who liked to make up stories. When she was in her thirties and in college ("Yes," she told me, "I was a high school drop out"), she began to write—short stories, poems, and finally novels. In the past seven years, Linda has written four novels and is working on her fifth; she said she couldn't name a favorite, however. "The books are kind of like children- where you love them all- but they are all different in their own way," she said. Linda told me that she doesn't really write every day; however, she is very goal oriented and does very well with timelines. "For instance, I may not be writing on my newest book this week," she explained, "but instead working with my editor on re-writes for my book on contract. So certainly- I have some writing going on pretty much constantly." "What do you like to do when you are not writing?" I wondered. "I have so many things I enjoy doing. Family is most important, of course. I am an avid reader and have been known to inhale a book over a weekend. I started making quilts this year- so made 7 over the year for grandkids. I like to sew- stitchery- cross stitch. Then there is traveling/ having a picnic by a creek." It's the simple things like this that make her happy, as well: a hug; her three-year-old grandson saying "I love you"; being with her daughter when she delivered her baby; a special smile from her husband; hearing from someone who liked her book(s); rainbows; a running creek in the summer/ winter. "I can’t even think of them all," she admitted. "Oh yeah! Winning a little on the slots in Vegas!" Linda told me that there are times she gets "stuck" when she's writing, but she don't think she's ever had a "block" where she couldn't write anything. When she does get stuck, she lets her mind work on it subconsciously while she works on the book for a week or so. "I might have to give myself a push," she admitted, "but then it all starts to flow again." "What is the most surprising thing you discovered while writing your books?" I wondered. "That even though I am a nice person- I can create some bad-evil-mean characters. They come alive and sometimes I surprise myself on how bad they are. Do I have a dark side hidden beneath my 'niceness?'" she asked rhetorically. Linda told me that the digital publishing industry has opened up avenues for her. "For me, it seemed easier to get published and I love my Kindle. However being able to hold MY printed paperback in my hands was monumental for me. Not like giving birth, mind you, but it was the physical proof that 'I was there. I was a real writer now!' My dream had came true and I had something to hold up and say, 'See what I did?'" she said with a laugh. "How to you keep your writing different from others that write in this category?" I asked. "That’s the thing—I dance around. 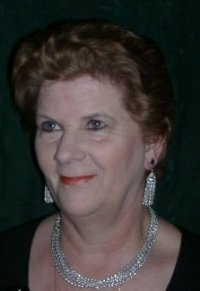 I write women’s contemporary- suspense- paranormal. I suppose the main theme is love," she said. A professional writer once critiqued a portion of Linda's suspense novel One Step Ahead of Danger and told her that it would be a "coffee table conversation book" and "not something you could put on the market." Linda didn't listen and give up; she kept plugging away and made the book better. "As you can tell, I don’t always do what I’m told," she admitted. "Even doctors can have a different opinion of what is wrong with a person." Finally I asked, "What group did you hang out with in high school?" "The kids that sat in the back of the classroom and smoked behind the gym…of course!" I live in a small town in Washington State close to the Cascade Mountain range. I have worked in the Human Services field for over twenty years and enjoy working with people of all walks of life. This experience has given me insight into the characters I write about and what makes them tick. Writing has been one of my deep passions and it has certainly taken me on different adventures. Being able to write and then- actually being published- has always been a dream to me- that has came true over the past few years. I feel very blessed in having my family support: My husband Bryon, my children: Donn, Dale and his wife Heather, Brandy who does my first editing and her guy- Sylvester, Jacob; plus grandchildren and one great-granddaughter. Jaxon Slater was the life-of-the-party- guy until one day he woke up in Purgatory. He runs into a mean bunch of ...guys...an unlikely guide and... possible redemption. His quest is finding a certain young woman and steering her away from the path of Destruction that killed him. He will need to face the wreckage of his past. Old temptations linger. Dark forces shadow his path. I loved reading this interview. Linda, you are a girl after my own heart. I love nature and bad boys! Btw, the cover of Dark Side of Purgatory is beautiful. I think everyone has that dark side to me and I think your job in Human Services could give you a lot of inspiration for your characters. Congrats on the book!